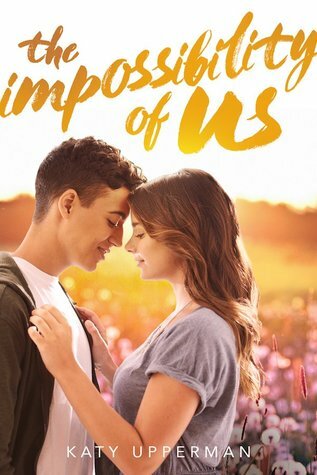 Review In A Nutshell: The Impossibility of Us is a beautifully written novel with very important themes, yet suffers from a bad case of insta-love. The Impossibility of Us follows Elise and Mati, during the summer they fall in love. Elise has just moved to a small town to help out her sister-in-law and niece after her brother was killed in Afganistan. Mati has moved from Afganistan to America temporarily so that his father can get the best treatment for his cancer. When the two fall for each other, they are forced to face their differences and see how cruel society can be. The small coastal town this book takes place in is nice and quaint. It serves as the perfect setting to blend the beauty and softness of the main romance with the harsh realities of discrimination and Islamaphobia. This author’s writing style is very unique. Elise’s chapters are written in prose that is flowery and elegant, while Mati’s chapters are written in verse. This was a surprise for me while reading, and not exactly a welcome one. I typically avoid verse, it’s just not for me, but by the end of the book, I actually came to enjoy his chapters. This writing style definitely grows on you. At first, I was not a fan but eventually appreciated it. However, there were definitely a few times that the flowery prose came across a bit pompous to me, and some parts of the character dialogues felt like it came straight out of your typical Lifetime movie (Sorry Mom for insulting Lifetime movies. I enjoy them too but I also know they aren’t always well-written). The majority of this plot is great. It hooks you in and never feels dull. Except there is one aspect that nearly ruined the book for me. The Insta-love. Mati and Elise have one of the worst cases of insta-love. Especially in Mati’s case. Literally the first time he sees her he’s in love with her. Elise has some prejudices that hold her back, but she gets over the SO QUICKLY. It was a little unbelievable. And by a little, I mean a lot. Speaking of the characters! I just didn’t really like Elise. She felt very cliche and dramatic at the beginning of the book. She does develop and get better, but I still didn’t like her that much by the end. Mati was definitely an interesting character. He was a lot different from your typical YA love interest. He is such a soft and caring guy! I really appreciated that. Also, there are two gay characters! I absolutely adored the both of them and their little subplots. I do wish we got to know them a little more. Elise’s friendships with them didn’t feel earned. It was similar to her insta-love with Mati. They met and suddenly they’re ride or die best friends who will do anything for each other, while not knowing anything about the other. The themes in this novel are really what makes it worthwhile for me. As you can probably guess, this book touches on the topics of racism and Islamaphobia, and I feel it handles them really well. I am loving the rise in novels with Muslim protagonists, and it makes my day to see more diverse books on the shelves. The Impossibility of Us is a great read with an important message, that is worth the while if you can look past the dreaded insta-love.